There is one universal truth about men. They love their grills. I’m positive if you took a poll of men, you would find a direct correlation between their satisfaction in life and their satisfaction with their grill. Once the man in your life starts to question the worth of his grill, you should probably start budgeting for his birthday or Christmas grill. 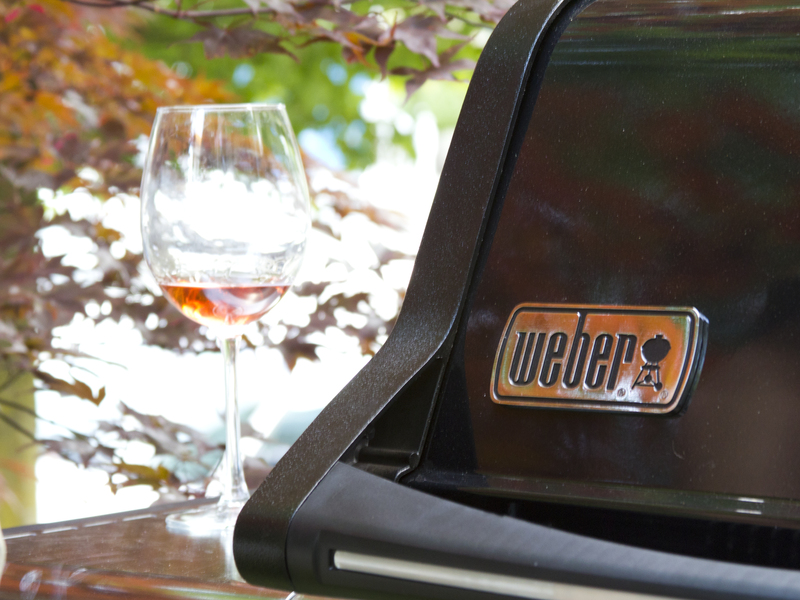 If his standards are pretty high, you may have to count the grill towards multiple gifting occasions. In Mike’s case, his mom and his wife (that’s me) co-gifted a Weber for his birthday. My parents seem to have a real knack for timing. Not only did they visit the first week we had a solid run of exceptional weather, they also timed it so they could help us christen the grill. 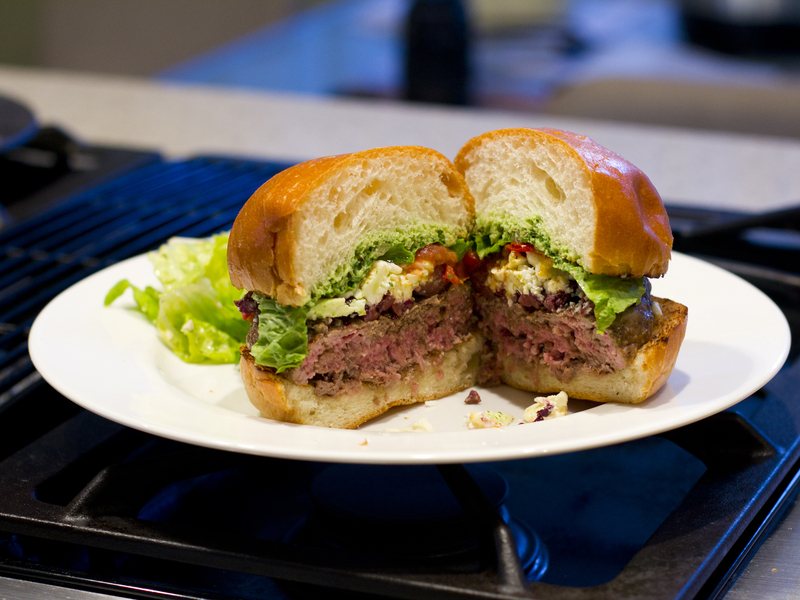 After hearing our chatter about lamb burgers, they had to see what all the fuss was about. In perfect summer tradition, we hit up the PSU Saturday market. 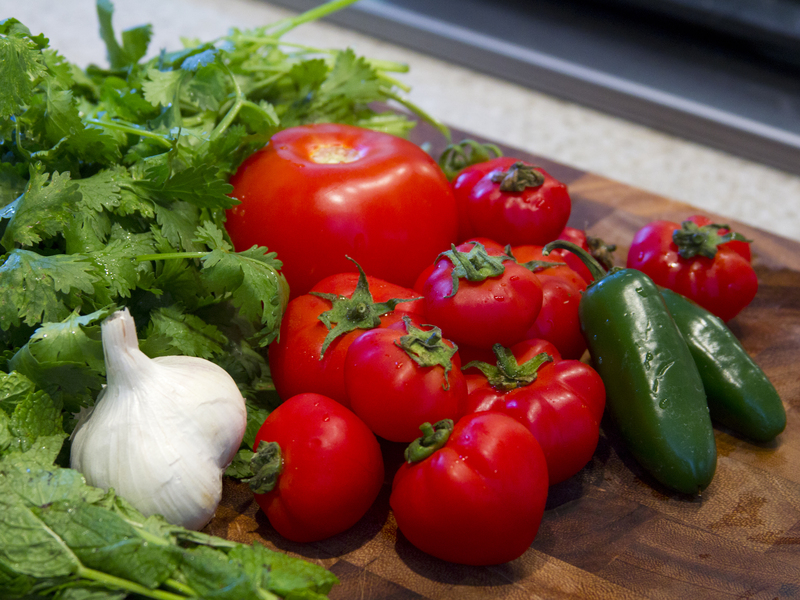 We scored some local grass fed lamb and located lots of beautiful produce. I was planning to grill miniature tomatoes that wouldn’t require slicing and also wouldn’t fall through the grate. Before I start, let me give you an overview of the toppings. You may pick and choose but the sauce is an absolute must. If you’ve got at least two able bodies in the kitchen, I would suggest that one person work on the chutney and the other person work on the lamb patties. In our case, we had a few extra able bodies so it was something of a circus atmosphere. 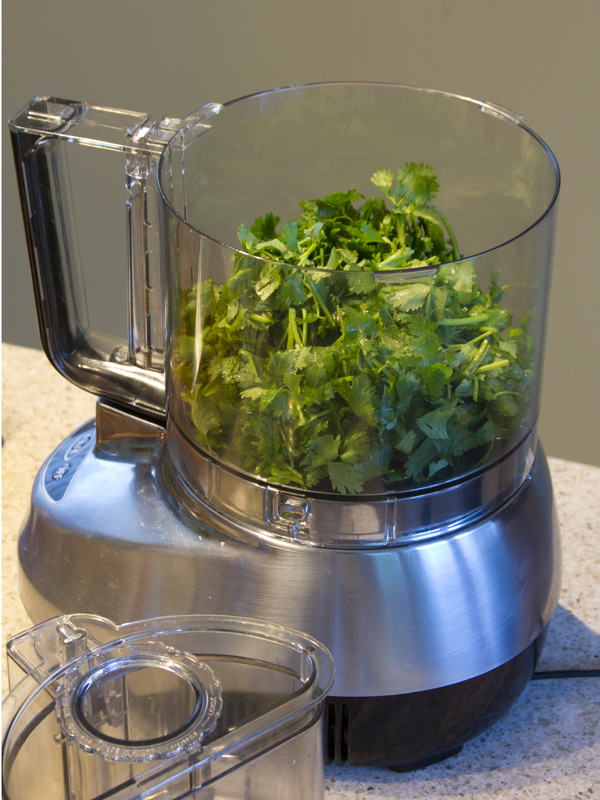 Combine all ingredients in a food processor and blend thoroughly. Cover and refrigerate until serving. My love/hate relationship with the food processor: love its efficiency but hate how annoying it is to clean. 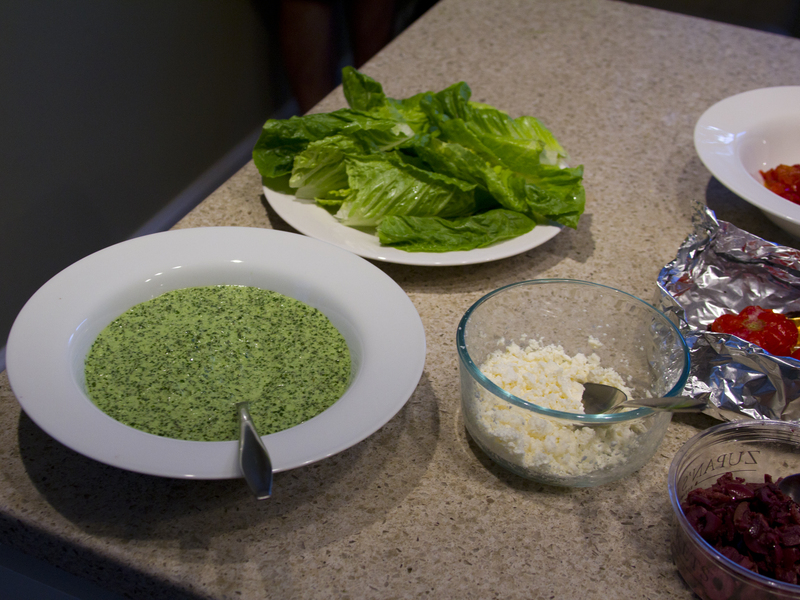 Mix all ingredients well in a non-reactive bowl and form into patties. Do not press patties too firmly. 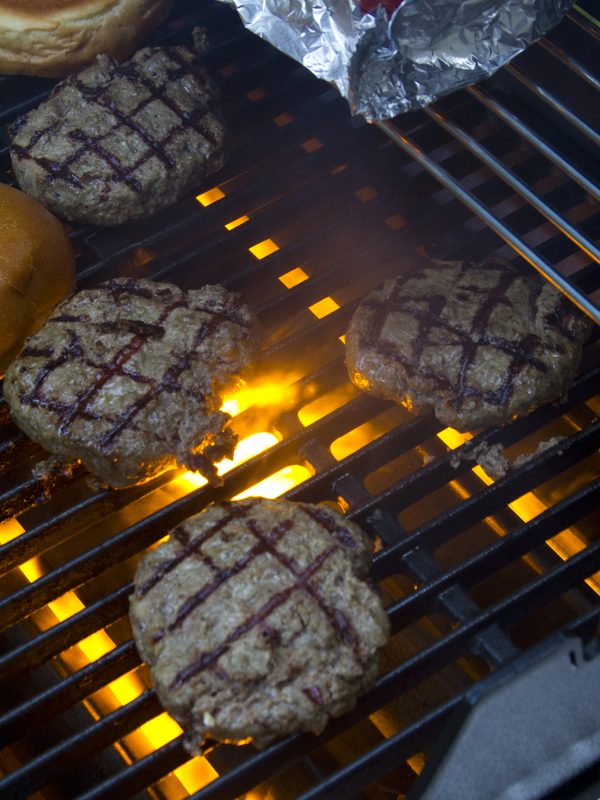 1 pound of meat yields 3 respectable patties. 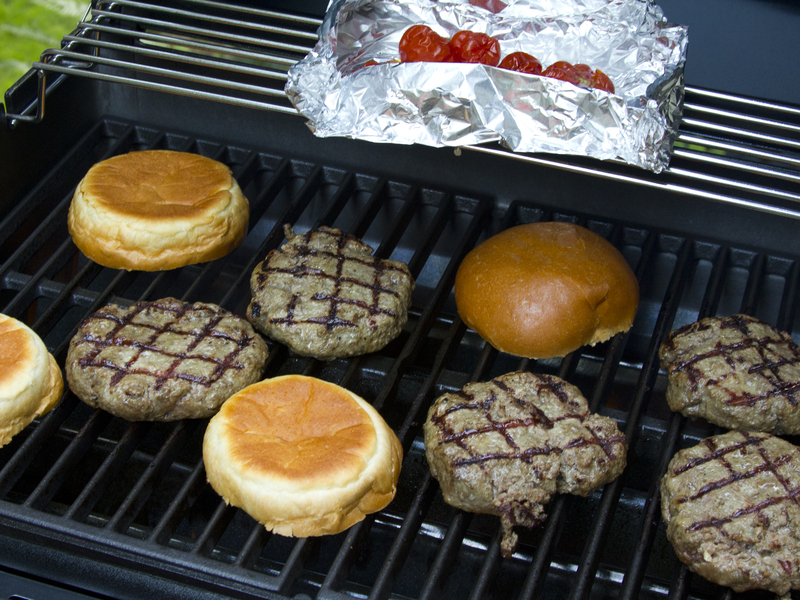 Patties are best when thicker than normal, helping them to not over cook on the grill. Heat grill to medium high. Brush grill surface with oil. Grill lamb patties to a nice medium doneness. Toast buns as the burgers finish cooking. Some of the best grill marks around. Kudos to both the grill and to the grillmaster! Add all the toppings and see if you can actually fit your mouth around it. I suggest pairing it with a Greek salad. Did the parents like the Mediterranean lamb burgers? I’d have to say so. I think my mom is a fairly bird-like eater. She’s always doling out half of her sandwich, steak, etc, to her hungry tablemates. (Is she really your mom, you ask?). Both of my parents had polished off their plates completely. I even checked under the table to see if they’d stashed the remnants in the napkins on their laps (this was an old trick my sister and I employed with peas). Nada. Just a couple of distended bellies and satisfied grins.